Photo taken on March 3, 1997. 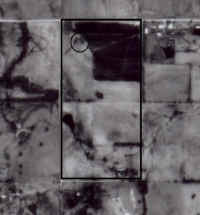 The extent of the Toothman farm is indicated by the rectangle, and the site of the Toothman house is indicated by the circle. Earlier research believed that the farmhouse was located in the extreme upper left-hand corner of the farm, but I have found evidence that a Methodist Episcopal Church was in fact located in the northwest corner after the Civil War. 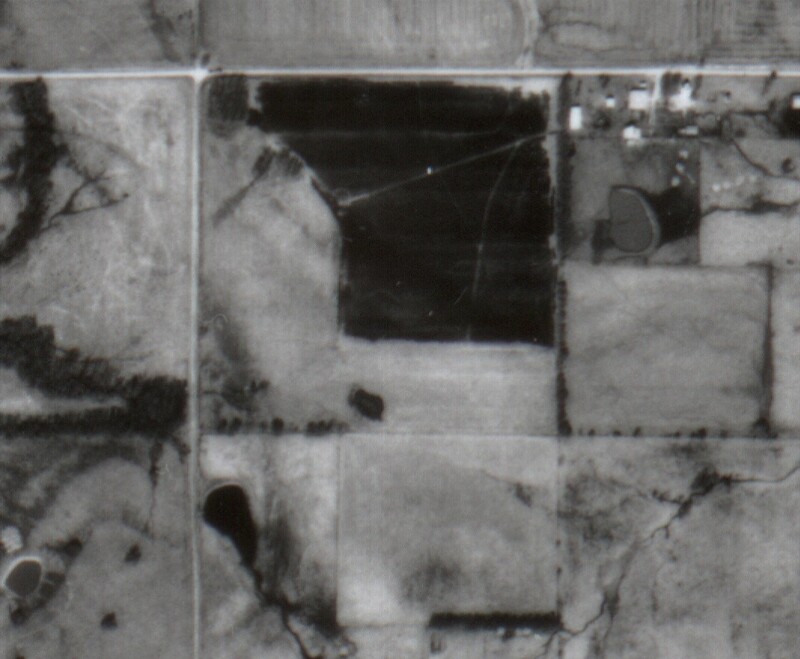 Select the image for a larger version, or you can view an even larger image of the north part of the farm, including the home site, by selecting here. On the "blown-up" photograph you will be able to even see a vehicle at the intersection of the road at the northwest corner of the old Toothman farm.